A sweet angelic design with soft lace trim and kneeling cherub angel. A great idea and unique memorial to stay cool during those warm days. A perfect accompaniment to the matching designed program, bookmark or prayer card. Add up to 3 photos on the front and back, if desired. The colors of this design are pastel blue hues. The font used on the title will be the font included for this design. Comes fully assembled with your personalized artwork/text and ready for distribution! Print a special 1 line message on the handle, if desired! 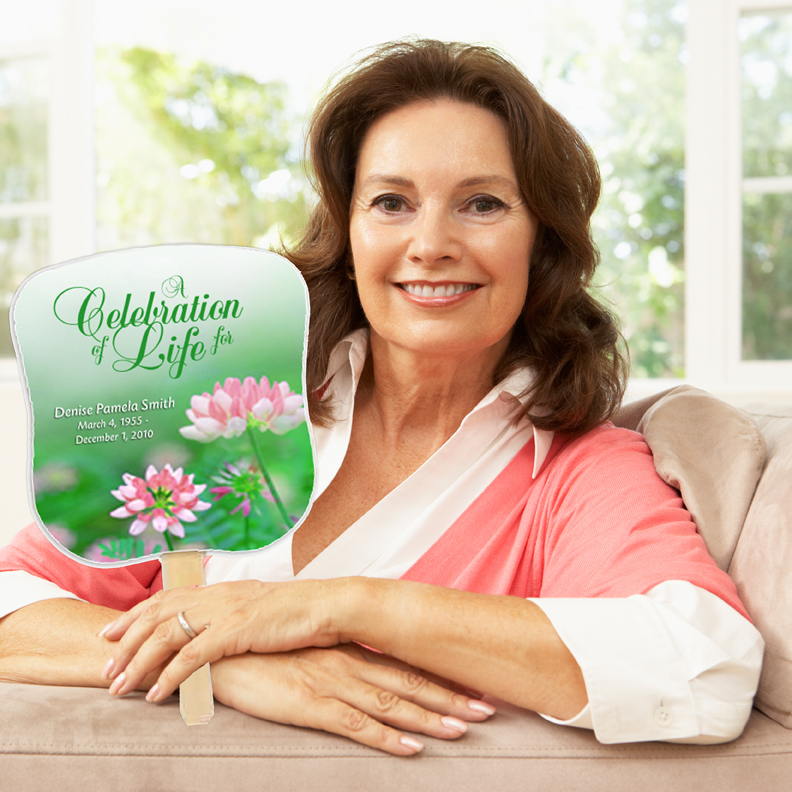 A perfect accompaniment to the matching designed program, bookmark or prayer card. You choose your own personal photo as the background image. Order below. Make it extra special by adding a personalized line of text imprinted on the wooden handle, if desired.